A website dedicated to the cast and crew involved in the creation of AYBS? Includes extensive research and contributions, news, cast images, collectibles, autographed pictures and much more. Since 1996, Are You Being Served? Forever has been here to take care of your Are You Being Served? needs. Here you will find a library of AYBS and Are You Being Served Again (Grace and Favour) information for your enjoyment. Perhaps we can interest you in something today ...maybe one of our unrepeatable special offers from Ready-Mades? And we are running a special on Y-Fronts: Mr Humphries has taken them down just for you! on YOU TUBE welcome to the World of Pure Comedy! 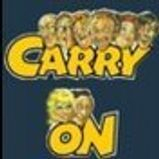 From 1958 - 1992 the Carry On team made us cry with laughter, and titter madly! This channel is packed with rare insights, classic moments and tributes. "Back in March 1995, I set up the Dad's Army Appreciation Society New Zealand Branch. This society branch was an offshoot of the international fan club for the BBC comedy series Dad's Army". I ran the New Zealand Branch for almost ten years with rather a lot of success, however life moved on and I was forced to give up the DAAS NZ Branch. It is no more. However my love of the TV show remains, and so I have decided that I'd like to create an online tribute to the show, its actors and its creators, many of whom were extremely kind to me whilst I ran the society". Dad's Army Appreciation Society is dedicated to keeping Dad's Army alive, and have accumulated many rare photographs, vidoe clips, cine film, audio recordings and background information on the show. For nine years from 1968 Thetford became Walmington on Sea, home of Dad's Army. This museum shows the story of Dad's Army in Thetford and the town's Home Guard. Welcome to British Legends. This site has a simple goal – to celebrate the Best of British with a strong nostalgic flair. 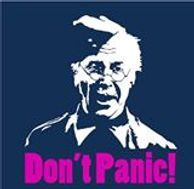 An online tribute to Dad's Army including episode guides, news reports, photos, memorabilia and exclusive content. exclusive information on all his shows including: Dad?s Army, Are You Being Served, ?Allo ?Allo, Hi-De-Hi and many many more. There is also an official online merchandise shop. Since the launch of the Tony Hancock Archives website in April 2008, the site has built up a reputation as having the most comprehensive collection of archive material on the world wide web relating to the lad 'imself. A Wonderful Unique Act that is Very Highly Recommended. Based in the North West - Gary Slade - Stan and Robbie Graham - Ollie have performed close-up magic and posed for thousands of photos all over the UK and out of the country for over ten years. 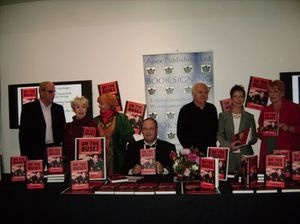 Andrew's new upgraded site features Dad's Army news and events, a fantastic photo gallery, locations and collectables. Writing for pleasure with passion.....On the buses was such a great sitcom and Craig's books relive all of those wonderful memories. 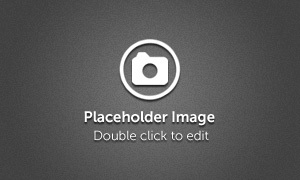 BestBritishTV.com is a website designed to celebrate the best British television shows. London’s Cinema Museum is devoted to keeping alive the spirit of cinema from the days before the multiplex. Set in historic surroundings in Kennington, close to the Elephant & Castle, the Cinema Museum houses a unique collection of artefacts, memorabilia and equipment that preserves the history and grandeur of cinema from the 1890s to the present day. www.classicmovies.org your number one source of information on the web about classic movies, movie stars, directors, and all the things you love about the golden age of Hollywood. the internet's award winning news and information page for cult television, radio and films. With the most comprehensive news on all the cult classics, plus episode guides, polls, the odd competition and much more. Welcome to TV Heaven. 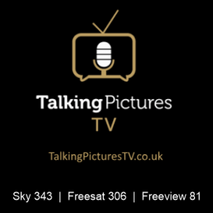 An independent archive film and television channelYou can watch Talking Pictures TV on Freesat 306, Freeview or Youview 81 or on the Sky digital satellite platform, channel 343. Do you remember the thrill and excitement of Saturday Morning Pictures? Where heroes and villains and clowns and crooners, invariably in glorious black & white, would entertain you for hours. Now those glorious days return, and it’s not just for Saturday mornings. It’s twenty four hours a day. Every day! David Hinde is a fabulous Celebrity Town Crier with an international profile (Dad’s Army Movie 2016) - Now Available For Hire. 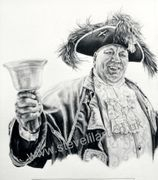 IN 2013 DAVID SET A NEW WORLD RECORD FOR THE LOUDEST RECORDED TOWN CRIER. This is the way we raise money! By staging shows, lunches, dinners and special events throughout the year. Nobody does it quite like the Grand Order of Water Rats. The World of Entertainment working for a World of Good Causes. The Heritage Foundation, formerly Comic Heritage, erects blue plaques to honour late entertainers on their former homes or places of work. Funds for good causes are raised by hosting celebrity lunches featuring auctions of memorabilia following plaque unveilings. www.karloff.com welcome to the official Boris Karloff Home Page. This is the only internet location authorised and maintained by the descendants of Boris Karloff, the great Master of Horror. At Mad Mug Lady Ltd. you will find original & exclusive artwork on T-shirts, mugs, bags, keyrings, fridge magnets and many more kinds of gifts. All of the artworks & designs here are exclusive to Mad Mug Lady Ltd. with FREE P&P to all UK mainland addresses. I offer beautiful artwork with unique & cutting edge designs. As an artist & musician myself, I enjoy working with other selected artists to reproduce their work as accurately as possible, & so understand the importance of transferring the original quality of artworks onto new media. 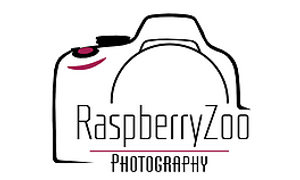 Alex Sharp is a professional, highly skilled photographer based in Worcester. She specialises in weddings and equestrian shoots. http://myweb.wvnet.edu/e-gor/portfolio/ well respected and acknowledged veteran of the American horror art scene. George's site is a must for ALL horror and fantasy fans. See loads of fantastic posters George has designed for old fiends, famous femmes and various infamous monster projects and much more, the guy is a legend. 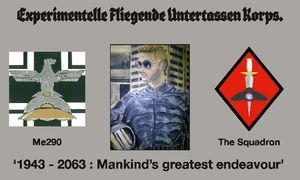 www.atelierherz.ch Janet Stalder is a contempory Swiss artist who has exhibited widely in her home country, please pay her a visit. Lyn Aylward Lyn Aylward is a Norfolk-based artist specialising in portraits and figurative studies worked in oils. www.kirkspen.co.uk Kirk Stacey is a Bristol based artist / illustrator and has contributed work for websites, charities, and BBC media and is the producer of many quality cartoon portraits and exhibitions.He uses pencil and ink for Humanistic style cartoons and portraits. This site is concerned with world cinema and with scenes which were shot outdoors in recognisable built-up locations, which are now movie sites or film or filming places and how those places have changed in the intervening years. The best kept secret of the Second World War has evolved into the secret of the new millennium. A secret that nearly gave Hitler the victory he craved, and even the combined might of America and the Soviet Union dared not face the consequence of it without allies. Now part of that secret threatens the very future of mankind. Welcome to City Tours Edinburgh where you can learn more about our beautiful City of Edinburgh, Scotland's capital. Our unique walking tours offer you the chance to visit some of the lesser known sites of the capital. On our walking tours take in some of the exact site locations where some of Edinburgh?s dark past will unfold or for those who are a fan of the Bard of Scotland, take a walk in the path of Scotland's literary master Robert Burns, or for the movie buffs why not go for a walking tour of filming locations around Edinburgh. Based in middle England, Writer Susan Goater works her magic with words in The Work Room. Undertaking bespoke pieces, intricately orchestrated passages or clear simple one liners. Susan?s repertoire now includes celebrities, charities, advertisement, websites, media publications and organisations.